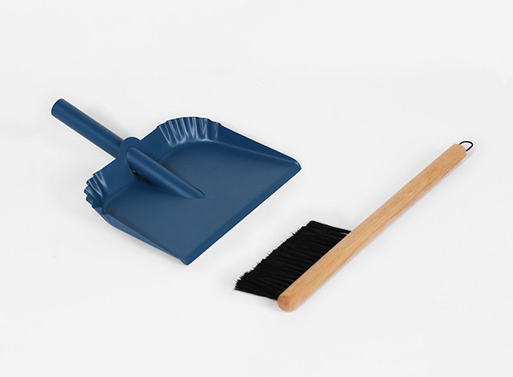 Cleaning up is a quick job with this Richman Dustpan. How so? Well, the wooden brush nests inside the pan’s handle, which means sweeping up your minor/major messes is a grab-and-go affair. If you’re a multitasker, note that you can carry the dust/rubbish in the dustpan with the brush handily stored underneath, all in one hand. Hang the set together via the loop on the dustpan’s handle. Originally posted Feb 20, 2017. Available from good thing, $29.00.